This photo was shot about an hour and a half ago at 6:05 p.m., from a parking lot up on a hilltop overlooking a freeway in north metro San Diego. The area directly in front of me below the plane of the moon was relatively free of urban and streetlight pollution, although there were some office parks about one mile away with similar light like the ones to my left and right in the parking lot I was in. I was using my Asahi Pentax 600mm f/4.5-f/45 fixed focal length lens on my Nikon D5300 set at ISO 100. I had the lens set at f/16.5, and shutter speed for this photo was 1/500 sec. 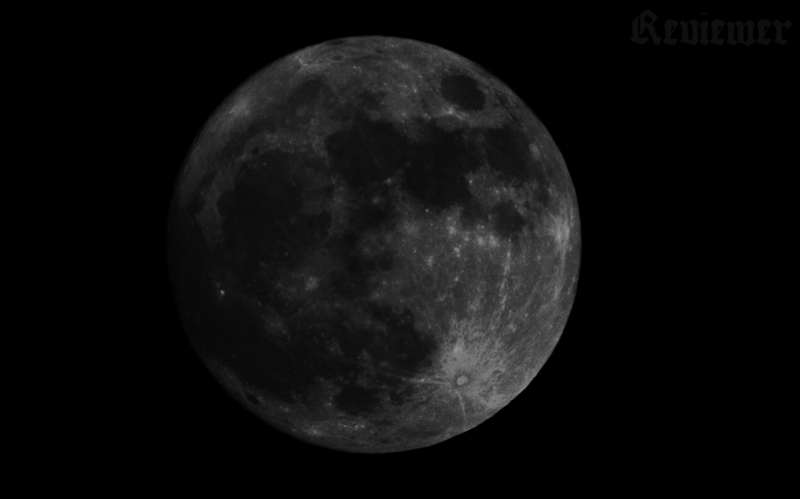 There was some slight haze but it was overall a cloudless and clear night. Two days ago there was much drier conditions with a true Santa Ana. Too bad the Supermoon didn’t get scheduled for then. This was the last of a series of 22 photos, and I used escalating shutter speeds from 200th up each notch to 500th, settling on 1/500th because my tripod is a little wiggly with a long lens. The faster shutter I shot it at the more crisp the image appeared in my viewfinder. The RAW image was adjusted in Photoshop CC and then cropped out to isolate it in the field. Then I monochromed it to take out all the color. It’s dark, to highlight detail, but hey it’s the moon. It looks better dark and spooky. 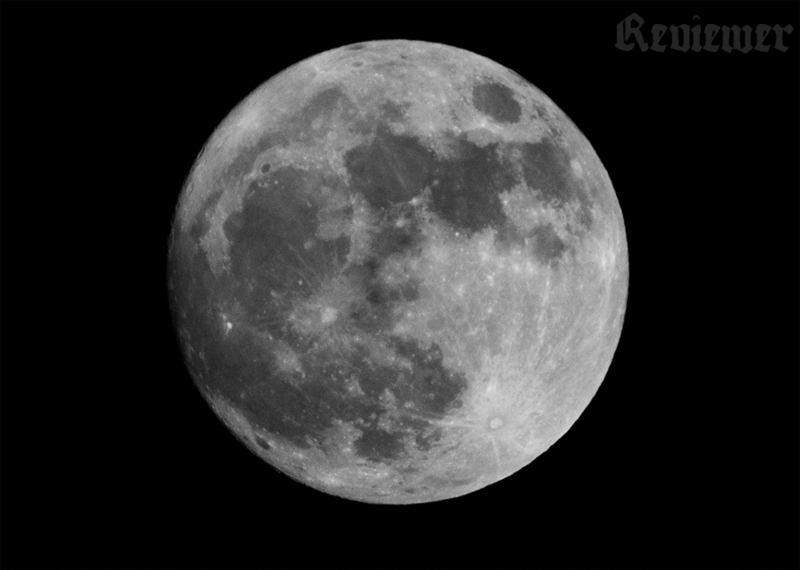 Photolog: Supermoon, 11-13-16, by Reviewer Rob. ‘Known as the Beaver Moon or Frost Moon, this one will be exceptionally large and bring higher than normal tides.